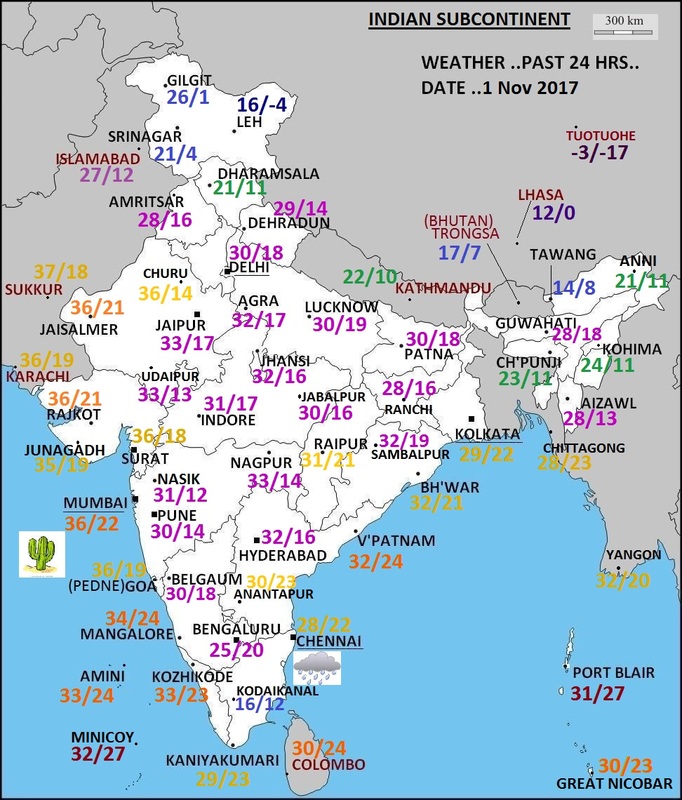 1st NOV 2017..THE 1st FOOT STEPS OF WINTER OVER THE SUBCONTINENT..
Chennai is rainy and humid while Mumbai is warm and dry (20% humidity during the day), this time of the year as usual..
1) LOWEST MINIMUM TEMPS (BELOW 15 C) RECORDED AT PLAINS OF SOME STATES TODAY..
As always great info..thankyou vagaries..
Imd aws is not working since long time or may be i don't have the latest link so pls give me if you have the latest one....thanks. NEM has significantly reduced in just 1-2 days... Hope systems with atleast 4-5 more spells to reduce Cauvery tension between KAR and TN. Your work is always too good Rohit. It revitalizes our interest because you compile data in a very interesting way. Keep up the good work. Thanks Vijith,Vinod,Gaurav,Junaid for your good words which keep me going ..